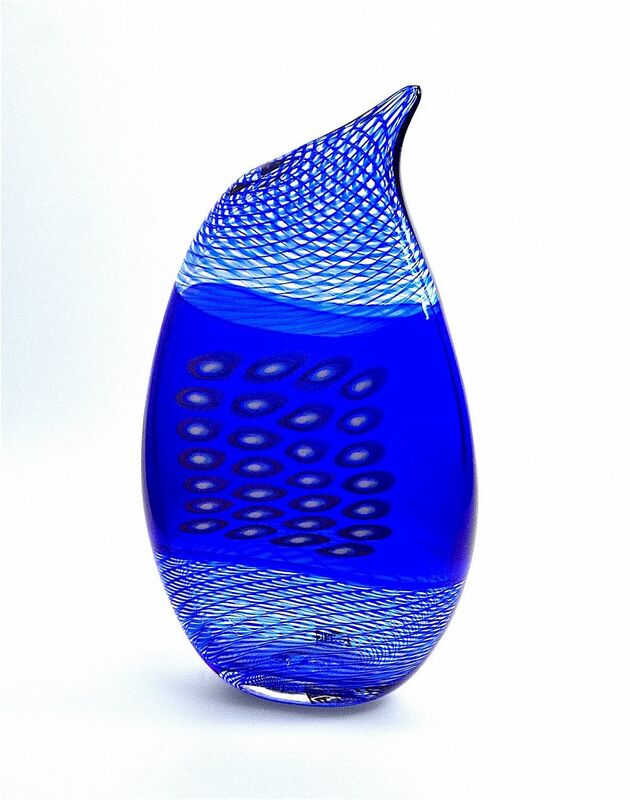 This lovely vase was made by Michael Hunter for Twists Glass in 2014. Known as "Stepping Stones" the teardrop shaped vase has three incalmo sections. The top and bottom sections consist of clear glass with swirling blue canes. The middle layer consists of rich cobalt blue glass inlaid with 24 murrines in purple white & blue arranged in 4 columns of 7 canes. The base is scratch signed "Stepping Stones M Hunter Twists 14" and has the Twists Glass studio label.